Dear Gabacha Cerca de la Water: No, you should always respond with facts and stats. Here’s a new one: Did you know that fully 100 percent of supporters of Maricopa County Sheriff Joe Arpaio and Arizona Gov. Jan Brewer are fools? It’s the truest stat since someone determined that the sun rises and sets every day in the world’s nonpolar regions. In reality, por favor never stop spreading the truth. 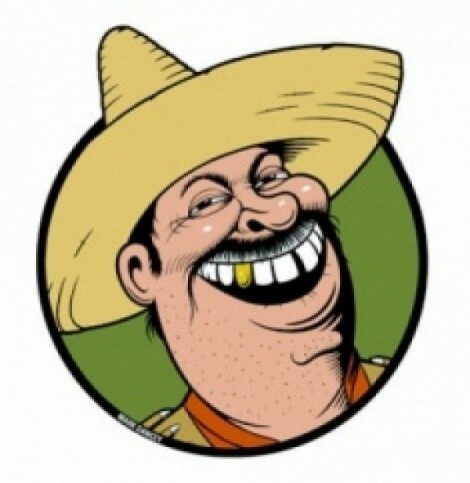 The truth is like a Mexican: It can be ignored, spat upon, ridiculed, even deported, but it wins out. It perseveres. And the truth (and a Mexican) eventually multiplies to the point where it overwhelms anything before it. Name-calling and insults are muy fun, but pointless unless you come armed with those facts and stats—that has been this column’s mantra since Día 1. Dear In Struggle (Con mi Bastón): Same reason those same professionals criticize undocumented college students for staging protests outside the offices of Democratic Party bigwigs who don’t push enough for the DREAM Act, why trade unions join forces with captains of industry today and why descendants of wops (like Arpayaso), micks, Polacks, and Krauts agitate for Know Nothing policies. It’s the American way, profe: When people get their slice of the pastel, they forget the radicalism and activism that created the path that allows them to exist and be successful pendejos. But, I do have to admit that, in the case of hard-line Chicanos, many of our more-assimilated, less-radical hermanos y hermanas also don’t like y’all because of your nasty puritanical streak. Can’t tell you how many letters I get from people ridiculed by “yaktivists” because their skin is too light, their Spanish is too pocho or because they can’t recite the poetry of Nezahuacoyotl upon request. Onward with la causa, but let’s leave ideological tests solely to politics and not to how Mexicano one is, sale? Ask the Mexican at themexican@askamexican.net, MySpace, be his fan on Facebook, follow him on Twitter or ask him a video question at YouTube.com/AskAMexicano!